Rootdown Denver. The clear favorite. Loud, trendy, waitstaff heavily tattooed. Small plates for under $10 each. I had beet gnocchi, carrot and thai red curry soup, some other stuff. All great. I was lucky to find a seat at the bar otherwise I would have waited a long time. So definitely you need reservations. 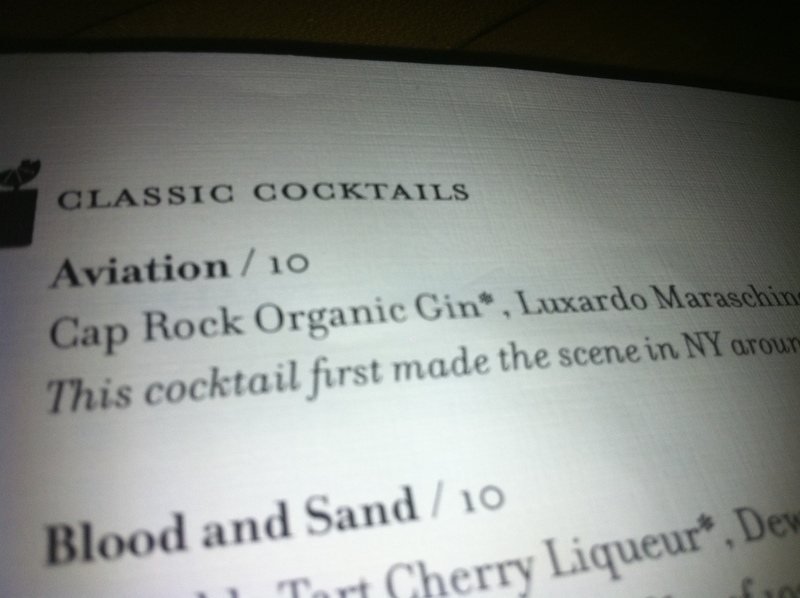 The best part of my dinner was that I finally found a bar that serves a mythical cocktail: The Aviation. I have been looking for this for a decade. It was fantastic. Thanks for the pointer Dan! Osteria Marco. Fine but typical Italian. I had pizza. I’ve had worse. They served by the glass a blend of Dolcetto, Barbera, and Nebbiolo from Langhe. That was something new for me, and I liked it. Tastes Wine Bar. A little depressing because I was the only person there. But the food was somewhat adventurous and good. The wine was fine, but not the kind of varied selection I would have expected from a place that calls itself a wine bar. The menu listed a sauvignon blanc from the Loire and when I ordered it to start with, I was told that they were out and tonight they were substituting a Sauv Blanc from Colorado!! I did taste it. Once. Its a shame I didnt make it to the Fluid coffee bar that Jacob Grier suggested. 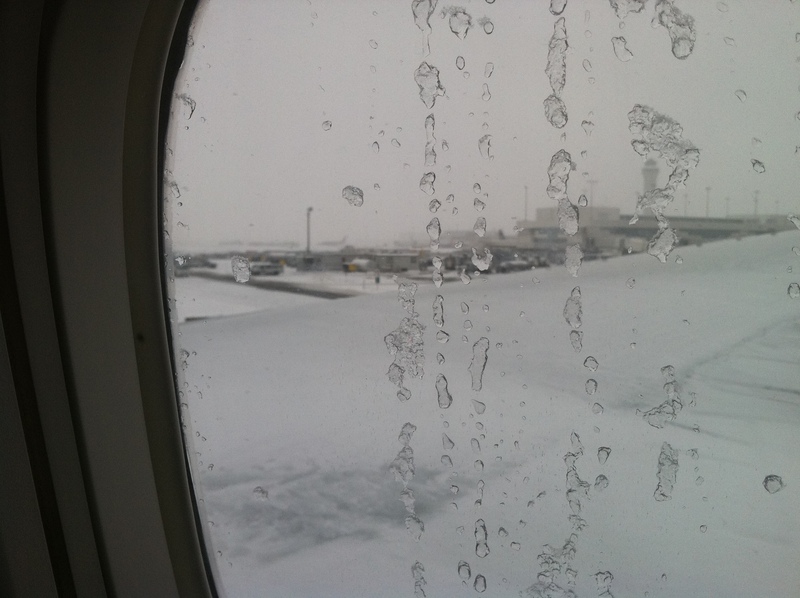 I was going to stop there on Sunday before going to the airport but Denver got hit with a snow storm and so I got on standby and headed to the airport early to make sure I got out of there before the flights were cancelled. On Thursday night my wife and I and a colleague of mine went to Rioja; my wife had read great things about it. We were lucky to find space at the bar. I had their “lamb done two ways” entree, and my wife had the “vegetarian quartet”; both were excellent. The bottle of Rioja wine we shared was also very good. « Who Will Lose from the Expedia vs. American Airlines War?